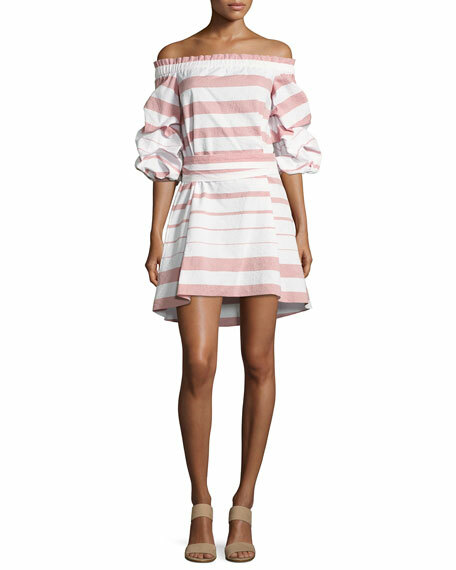 Alexis "Olevetti" crinkled dress featuring wide stripes. Approx. 29"L down center back. 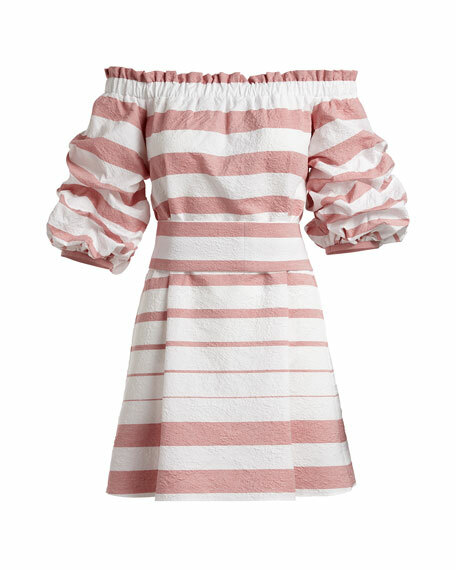 Elasticized off-the-shoulder neckline with ruffle trim. Wide self-tie belt at waist. Designer, entrepreneur, and mom Alexis Barbara Isaias draws inspiration from "the women of Miami. There's something about the cultural mix, sexiness, and emerging art scene I'm surrounded by every day in Miami that continually inspires me." 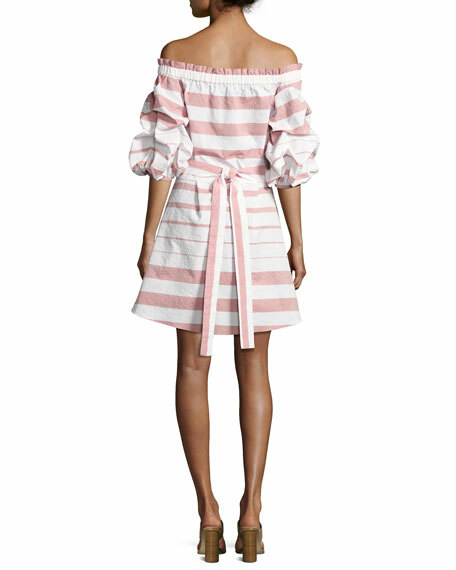 She was initially driven to become a designer by an unforgettable family vacation spent island-hopping in the Mediterranean. Before departing, she designed herself a small collection to wear throughout the trip, which drew a following. In 2009, she launched her first full Resort Collection with her mother out of their home office. For in-store inquiries, use sku #2141237.